"Despite immense pressure from the home side, England held firm for a 2-3 win that was backed at [100.0] that puts them within touching distance of Spain in the group." UEFA designed the Nations League with the aim of injecting more excitement and meaning into international football outside of the major tournaments. On an astonishing night in Seville, Gareth Southgate's Three Lions revived a seemingly dead Nations League campaign with an unexpected defeat of Luis Enrique's hitherto dominant Spain side. A first half double from the much maligned Raheem Sterling, interspersed by one from Marcus Rashford took England to an incredible 3-0 lead at the break. The Three Lions' attacking trident of Sterling, Rashford and Harry Kane were in irresistible form and England's lead was well deserved. 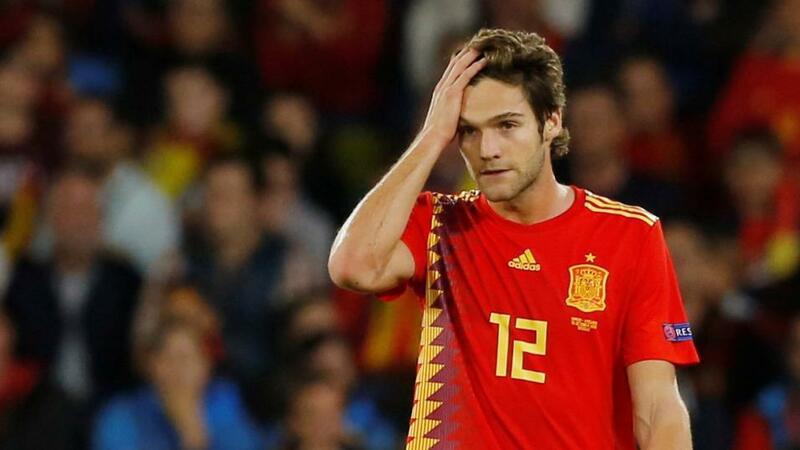 Spain had beaten Croatia 6-0 in their previous UEFA Nations League fixture and took Wales apart last week with a 4-1 away win so it was no surprise to see a revitalised performance in the second half from Enrique's side. A header from Paco Alcácer on 57 minutes set Spain up for a glorious comeback but the opening would not come until the very death when Sergio Ramos scored with the final touch of the game. England had to ride their luck and there were dodgy moments after the break, a poor dribble from Jordan Pickford and dispossession in particular stands out - the Everton goalkeeper's clumsy foul should probably have resulted in a penalty for the home side. Despite immense pressure from the home side, England held firm for a 2-3 win that was backed at [100.0] that puts them within touching distance of Spain in the group. The Three Lions were backed at a high of [8.0] just to win the game while punters were happy to put their hard-earned on Spain at just [1.57]. A win for England in their final fixture could be enough for them to top the group although it will take a draw or defeat for the Spanish for that to happen. Spain remain the 2/1 favourites to win the Nations League with England 20/1.